Local, independent and family owned carpet cleaners. Did you know that the Chemdry carpet cleaning process uses 80% less water than typical Steam Cleaning? That means your carpets dry within hours, not days! Every four seconds, a carpet is cleaned by Chem-Dry? Chem-Dry cleans more than 330-million square meters of carpet every year? Chem-Dry technicians are in more than 10,000 households daily worldwide? Chem-Dry has become a trusted name in carpet cleaning for thousands of households and businesses for a good reason. Chem-Dry’s carpet cleaning services are based on the three pillars we believe are a vital part of providing customers with the safe, long lasting, quality carpet cleaning they deserve. HEALTHIER. Our low-water, faster drying clean means less risk of mould and mildew growth under your carpet that can result from the excessive water used by most steam cleaners. And our main carpet cleaning solution is green-certified, so it’s completely safe and non-toxic for your family and pets. That adds up to a healthier, safer carpet cleaning that lasts. PowerGuard Protectant®- This revolutionary carpet stain protectant not only gives a boost to your carpet’s stain-resisting powers but works well with solution-dyed carpets. Check this carpet cleaning experience of our customer from Woonona. Tanya was friendly and Professional when taking the booking and Jason was extremely punctual and arrived right on time. They were very professional in the cleaning of my Carpets and very careful with my furnishings. I would highly recommend them to anyone.” −Robert, Albion Park. Excellence service. Jason was on time and I was able to get my Carpets Cleaned the day after I rang and booked it. Very happy. I would definitely use them again and recommend to family and friends.” −Cherie, Lake Illawarra. We had Jason come and clean our Carpets and Leather Lounge. He was punctual and polite and extremely helpful. We would recommend him to family and friends. He is actually coming back next week to clean our other Leather Lounge.” −Julian & Nan, Mt Warrigal. Jason was very helpful & professional when here cleaning my Carpets and did an excellent job. I would definitely use Chemdry Excellence again and recommend them.” −Liz, Robertson. Chemdry Excellence cleaned our Carpets and did a great job. We would happily recommend them to anyone and use there services again. Very Happy.” −Rosemary, Albion Park. The service was excellent and Jason was on time and friendly. Our carpets & 2 Recliners were very dirty but came up fantastic. Great job. I will definitely use them again.” −Heather, Warilla. Had my Carpets cleaned and they look amazing. Very friendly and easy going.” − Shantelle, Shellharbour. Can’t thank you guys enough! Brilliant job on our Carpets.” − Jennifer, Blackbutt. A fantastic company with amazing service! Booking with Tanya was fast and easy. Jason was very friendly and professional which shows in the quality of his work. The floor coverings look fantastic with no patches or missed areas and the Lounge has come out looking brilliant. Not only is everything extremely clean but it has a nice fresh scent, removing any trace of odours. Would recommend to all and will definitely use again.” − Elizabeth, Warilla. Jason did a wonderful job on our Carpets and Leather Lounges! They look amazing. Very professional and willing to go the extra mile with our service, especially on a horrible hot day. We would definitely recommend there services to anyone. Thanks Tanya and Jason.” − Mel, Figtree. Hi Jason. Firstly thank you for a great job cleaning my Carpets. 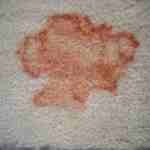 Secondly you suggested I get my Carpets stretched which I did and I’m extremely happy with the results. As I think I mentioned I didn’t want to get new carpet as apart from having the dog it seemed like a huge job, now I wondered that I even contemplated that. I’m one very happy lady and I’ll also recommend you to others.” − Margaret, Albion Park Rail. Tanya & Jason are an exceptional team! From the moment I rang and spoke to a local resident I knew it would be the right choice to go with Chemdry Excellence. Jason did an amazing job. We had our Carpets & Fabric Lounge done & they look brand new! I highly recommend them! Thanks again for a brilliant job.” − Christine, Unanderra.. Thanks Jason awesome job mate. Very happy, reasonably priced and you saved me buying a new lounge. Double win. 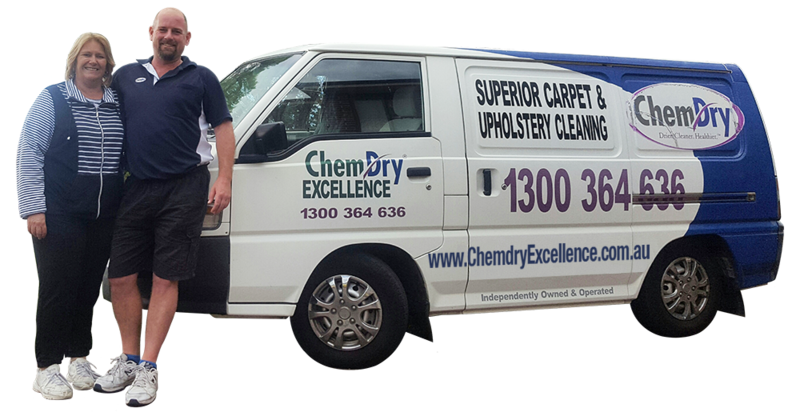 Definitely worth calling and giving these guys a chance if you need your Carpets and / or Lounge cleaned.” − Darren, Dapto. I had my Carpets and a Rug cleaned and they did a fantastic job. I highly recommend these guys.” − Nikki, Horsley. Thanks so much for your great work, it was such a pleasure to come home to find clean fresh Carpets and a renewed modular lounge. Amazing the difference a great clean makes. Thanks again.” − Kerrieann, Shell Cove. Hey Guys, Just wanted to say a massive thank you to Jason for such a top job. My Carpets and Rug came up so lovely. I was so surprised at how good the spare room came up after having nail polish & paint spilt on it. I’ll ensure to recommend you to my friends & colleagues. Thanks again.” − Juleigh, Windang. Thanks Tanya. Jason did a great job. Thank you.” − Karen, Wollongong. Carpet looks great and dried well thanks to the wind in this winter season. Very happy with the result, will recommend you when I can to friends and family.” − Louise, Tarrawanna. Fast, on time, local and affordable. We booked them in on short notice to clean our Carpets in our new house and they did an amazing job. We would highly recommend them to anyone.” − Matthew, Berkeley. Jason did a fantastic job on our Carpet and Lounge Suite. Very professional and friendly. After the grand children had made a huge mess of my new Lounge, he bought it back looking brand new, and the Carpets look great and were dry in just a couple of hours. Thanks Jason.” − Lana, Berkeley. Had our Carpets and Upholstery cleaned by Jason and did an amazing job. Prompt, professional and very thorough. I wouldn’t hesitate to recommend him most highly to anyone.” − Brad, Berkeley. Thank you for your service and assistance in using your Hypo Allergenic product ” The Natural ” to make my newly refurbished flat safe for me to move in to after three months of renting. Dealing with severe hypo sensitivity to out gassing chemicals from new Carpets and fresh paints I did a lot of things to help myself. Your service made a huge impact in neutralizing the environment. I have now moved in and can call the place home. Many, many thanks.” − Ainslie, Towradgi. I can highly recommend Chemdry Excellence. Jason was on time, friendly, proffessional and I am extremely happy with the results. My Carpets looks great after being cleaned and it dried really quickly.” − Roslyn, Shell cove. Thanks for the amazing and magical work that Jason has done to our Carpets. Just like new! I will be telling everyone I know how fantastic Chemdry Excellence is!.” − Helen, Farmborough Heights. Thanks for the great job Jason! Mum’s house looked and smelt so clean & fresh.” − Robyn, Bulli. They did an Amazing job and squeezed me in on such short notice. I’ll definitely be recommending them to friends, family, people on the street and who ever else may may need a Carpet clean.” − Chelsea, Farmborough Heights. Thank you for the excellent Carpet cleaning you did in our Lounge Room & our Lounge Suite looks amazing too . ” – Lisa, Shellharbour. Thank you so much for the wonderful job you did of our Carpet & Upholstered Lounge, they came up so clean. They are looking like new. ” – Rhonda & Sid, Albion Park Rail. Thanks Jason & Tanya for your great customer service. I am very happy with our Carpet you cleaned this morning. Will definitely recommend you guys to our friends and family. ” – Michelle, Brownsville. A huge appreciation for the professional service I received by Jason. Amazing quality results. I am letting our property staff know as well as posting this on Facebook ‘Praise and Shame’ page. Thanking you again. ” – Pamela, Shell Cove. We had Jason clean our 3 bedroom property Carpets and Stairs today. Results were amazing and i’ll definitely be using this business again in the near future. Thank you Jason and Tanya for such a great job.” − Michael, Flinders. Had all the Carpet cleaned this morning. I’m so happy with the result. I would highly recommend.” − Rosa, Shellharbour. Genuinely couldn’t rate Jason & Tanya highly enough! Fantastic service & quality of work.” − Wazza, Towradgi. Very happy with the job. Would highly recommend Jason. Very professional.” − Maxine, Gwynneville. The Excellent service started when I left a message on Facebook one night. By 8.30 the next morning Tanya had asked me all the relevant questions concerning the job, given me a price and booked Jason in for a few days later. On the day Jason arrived promptly, had a look at everything, and got on with the job? He was finished within 2 hours and after telling me it would dry in 4 to 5 hours to dry, he cleaned up and left. The Carpet was dry and SUPER CLEAN when we walked upstairs later on. What a wonderful job he did. Thank you Jason. I would highly recommend Chemdry Excellence to anyone wanting their Carpets Cleaned. − Christine, Shell Cove. After having another carpet cleaner booked in who did not show, we found Chemdry Excellence’s number online and decided to see if they could fit us in last minute. Jason was at our house within 2 hours and our carpets look better now than they did when we moved in. Having 2 young kids, our carpet was in a state and we were expecting an improvement at best. Jason removed every single mark! We are so happy with the service he provided and will definitely be using him again in the future. − Nick, Blackbutt. Fantastic Service! Thorough, professional and friendly. Amazing results.” − Nicole, Oak Flats. Tanya & Jason atChemdry Excellence have been awesome to deal with. We’ve just had them do the Carpets at our new place before we moved in and our old place after we moved out, and I’m super happy with both jobs. Tanya is awesome to chat to and keeps in regular contact, and Jason was able to get all sorts of stains (dog vomit and water based paint) out of the Carpet of our old place. Really pleased with their service and the job done.” − Kate, Port Kembla & Woonona. Thanks Tanya. Jason did a lovely job, we are very pleased with the Carpets.” − Ann, East Corrimal.